Thirteen teams will compete June 23 - July 3 at the 2016 American Quarter Horse Youth World Cup in Tamworth, New South Wales, Australia. Thirteen international youth teams will be competing in Tamworth, New South Wales, at the 2016 American Quarter Horse Youth World Cup. The 2016 American Quarter Horse Youth World Cup is slated for June 23 - July 3 at the Australian Equine and Livestock Events Centre in Tamworth, New South Wales. The following 13 teams will be representing their countries and competing for international recognition at this year’s Youth World Cup: Australia, Belgium, Canada, Demark, France, Germany, Israel, Italy, Japan, New Zealand, Norway, United Kingdom and the United States. 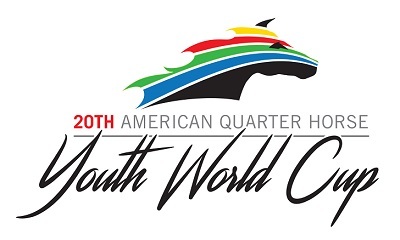 The Youth World Cup is an educational-, leadership- and competition-based event for American Quarter Horse Youth Association members from around the world.The culmination of this event is a showcasing of skills learned in an atmosphere of friendly competition. It gives youth a unique opportunity to learn in a hands-on setting with other international youth horse enthusiasts. Youth will compete for medals in English and western disciplines, including cutting, reining, horsemanship, ranch riding, trail, hunt seat equitation, hunter under saddle and showmanship. There will also be opportunities for team members to learn from some of the industry’s leading riders and trainers. View the tentative clinic and show schedule at www.ywc2016.com. A live webcast will be available at www.ywc2016.com during the event. Follow The American Quarter Horse Journal’s coverage of the event at www.aqha.com/showing and on Twitter at @AQHAJournal. News and information is a service of the American Quarter Horse Association. For more news and information, follow @AQHAnews on Twitter, and visit www.aqha.com/news.